Within hours of the outbreak in Manhattan, the quarantine was sabotaged. 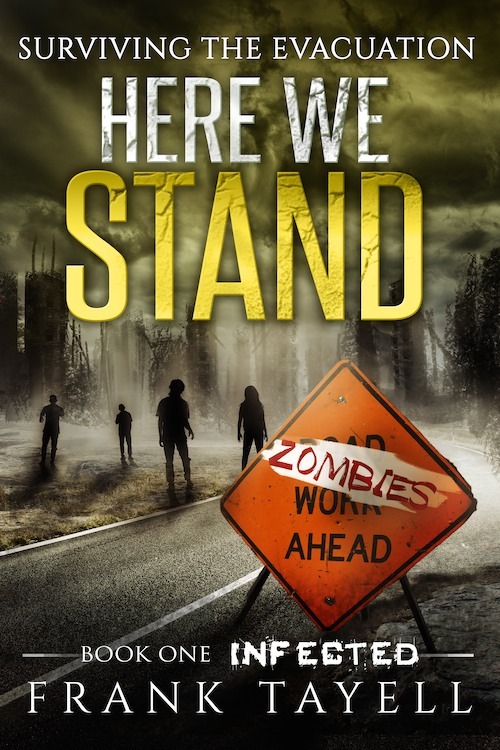 As the United States collapses, Sholto escapes New York to search for those responsible, hoping he can stop the undead. 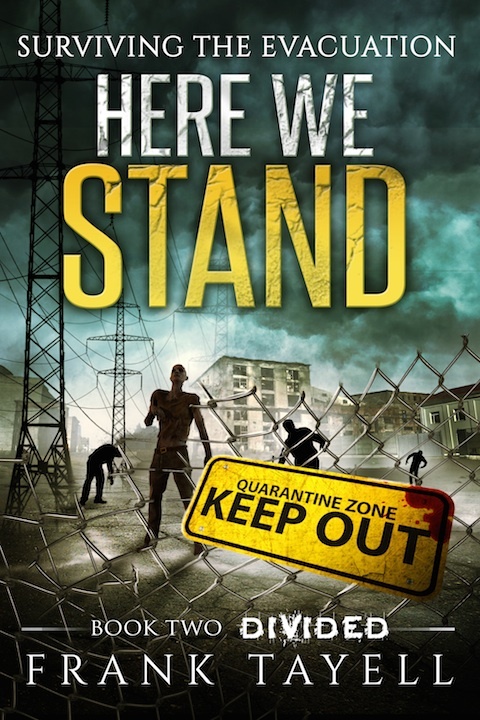 Here We Stand 1: Infected and Here We Stand 2: Divided are part of the post-apocalyptic series Surviving the Evacuation. This story of patient zero and Sholto's attempts to halt the collapse of America can be heard/read before or after Surviving the Evacuation Books 1-7. Coming soon: Surviving the Evacuation 11 - Chester's back! (so are Nilda, Tuck & Jay, but the story is mostly about Chester, the soldier, Bran (who helped Mary & George get to Anglesey, worked with Chester setting up safe houses across England and Wales, and who met Tuck & Jay in Book 5), and a few other characters whose identity will remain secret as their appearance is the twist. This book will continue on from Book 10 (and Book 7) and deal with the events described in Book 10's epilogue. Also coming soon: Strike a Match 3 - This is my fifth attempt at this book, Writing a crime novel (or this kind of crime novel) turned out to be a tad more difficult than I was expecting, but it's finally almost finished (I'm halfway through the final draft). I think it'll be out this summer. Coming soon to audio: Surviving the Evacuation 8: Anglesey is being recorded at the moment. It should be out in June. 9 & 10 will be recorded in July/August so should be out later this summer. Strike a Match 1-3 have been booked in for August/September so will be out late summer/early autumn. Happy listening, and have a great weekend.